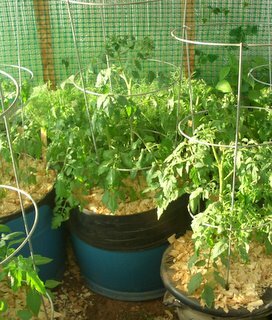 2011 spring is edging up fast – this year – are you going to grow something really good and productive? or just the same old miserable and pathetic droopy tomato plants? Close your eyes and imagine all those big juicy tomatoes on your deck or in your yard – it’s mid-summer, warm breeze and sunny and you’ve got eggplant, and sweet cukes, crispy lettuce and ripe green zucchini – mmmmmm! 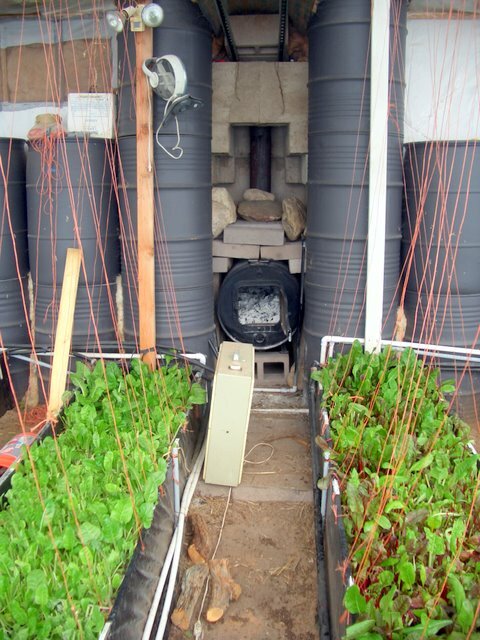 OK, snap out of it and listen up – Here’s some tips on container gardening that you may or may not get on any of the other multitude of container gardening tutorials that will be lots more complete than I’ll ever have the patience to write. YIPEE! 18.4 BELOW Zero Outside, 31.6 In! It’s the dead of winter here. No – it’s not like, say, Minnesota, where I spent some time in that un-holy frigid icebox. But the 6500 foot elevation of our high desert plateau is still no tropical island paradise. Last week when the snowstorm gripped the whole of the US and the jet stream dipped into Mexico and swooped across the southern states as well – we got slammed. I thought our rows of bok choi, chard and mizuna were goners. On the coldest night, the temp slid all the way down to 18.4 degrees BELOW zero Fahrenheit (only 6 degrees short of a century-record low!). The greenhouse is almost 2000 square feet – so we’re talkin’ a pretty big space with only plastic for sides to keep warm. 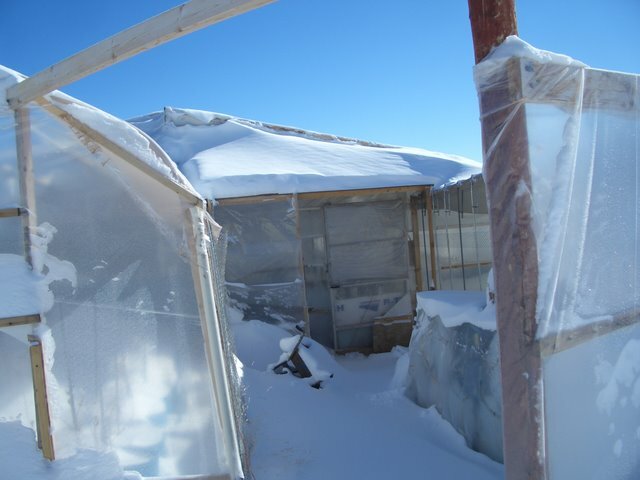 But by morning, when the sunshine happily broke over the far mesa and immediately started relieving the chill inside (it was still 14 below outside till noon), the greenhouse stayed just the tiniest nick under 32 degrees – 31.6. No big deal, you say? Well YES it is! You see, we’re running a “solar” greenhouse, not a fossil-fuel guzzling heated greenhouse where ya just set the thermostat and close the door (and listen to the dollars wizzing up in smoke…). If you like our blog, please send it to your friends and sign up for new posts! One of the less-discussed but *very* relevant discussions of our food supply is the condition of the soil – both for the plant matter do choose to eat and more important to the lacto-paleo crowd, the plant matter the animals eat who nourish us. Pasture grass-fed is pretty much an *absolute* for those of us who feel that the animal products from ruminants are the most healthy to consume (NO grain fed/finishing). But if their plant food grows on poor soil – what can their bodies be made of (or milk be made of) that we then eat? Ditto on the plants we eat directly. Jack, Sunna, Lola and I have built our version of a “solar” greenhouse – for those of you who are now scratching your heads in your mind thinking “aren’t ALL greenhouses SOLAR?” – Well yes of course – but the term “Solar Greenhouse” refers to a specific approach to building, orienting, and, most importantly, equipping a growing greenhouse space with passive heat storage in such a way that it will capture and hold the immense amount of sunlight energy and heat that enters during the day in order to have lots of heat in greenhouse thermal mass storage to release during the cold extended-season nights in early spring and late fall (or even winter, depending on your location).